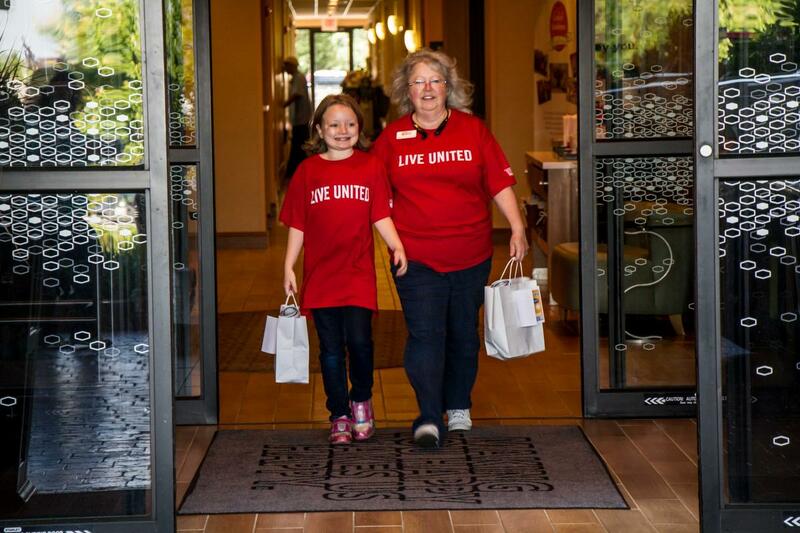 Drive, walk or bike your way through the 4th Annual United Way Drive-thru Breakfast hosted by the United Way of the New River Valley at the Hampton Inn in Christiansburg on Friday, May 18th, from 6:00 - 9:00 a.m.
For a $10 donation, you can pick up a full, delicious breakfast bag stuffed with a hot breakfast biscuit, a fresh baked good from a variety of local bakeries, fruit, a freshly brewed Starbucks coffee, and a copy of The News Messenger. All food has been generously provided by Wades, Hethwood Market, Hampton Inn, and Starbucks, ensuring that every dollar made by this fundraiser stays right here in our community! “We are so excited for the 4th annual Drive-Thru Breakfast and to be working with a lot of the same sponsors from last!” stated Rachel Stanford, Resource Development Associate at United Way. With each $10 contribution a donor makes to purchase a breakfast bag, 100% of that contribution will go directly to United Way’s work, providing for critical human and health needs in our community. Our goal is to sell out of all 375 Breakfast Bags. Please come by the Hampton Inn for breakfast on May 18th! The Hampton Inn is located at 380 Arbor Drive in Christiansburg, across from the DMV. For more information on the event or about the United Way of the New River Valley and its partnering agencies, please call (540) 381-2066 or email info@unitedwaynrv.org. If you would like to make a pre-order, please fill out this form by Wednesday, May 16th. Check out our Facebook event page for more details and updates!